Teign School Sessions during the summer - Due to the popularity of both the Friday and Saturday sessions both will continue uninterrupted through the summer holidays. As you have continued to support the sessions, we are happy to keep them going. Friday nights 18.30-21.30 and Saturday mornings 09.00-12.00. Newton Abbot Table Tennis Club League Teams - We are at present proposing to enter 6 teams in the South Devon & Torbay Table Tennis League for the forthcoming season which starts early in October. Whilst teams and players availability are not finalised yet, we are still able to slot players, interested in playing for the club, into teams and it is still possible to enter further teams if we have enough players. Entries to the League have to be in by the end of August. So if you fancy playing league table tennis for Newton Abbot TTC please let me know ASAP. There is a small financial commitment for registering with Table Tennis England and the League, but this should be no more than a one-off payment of approximately £13 for juniors & £22 for seniors, plus match fee of £5/home match. It would also be good to hear from any parent who might be able to help out with transport for the students to away fixtures. Tournaments - Congratulations to Luke Robins who defeated Kevin Bastow in the final of our May Handicap tournament and to Travis Graham who defeated Luke Robins in the final of the June tournament. The next tournament will be on Friday 25th July. Friendly Match - To give our up & coming juniors a taste of League Table Tennis, a team that was last year playing in the 3rd division at Dawlish, played a friendly match against 3 of our juniors and although our students came out second best they played well & thoroughly enjoyed the experience and are looking forward to further encounters. 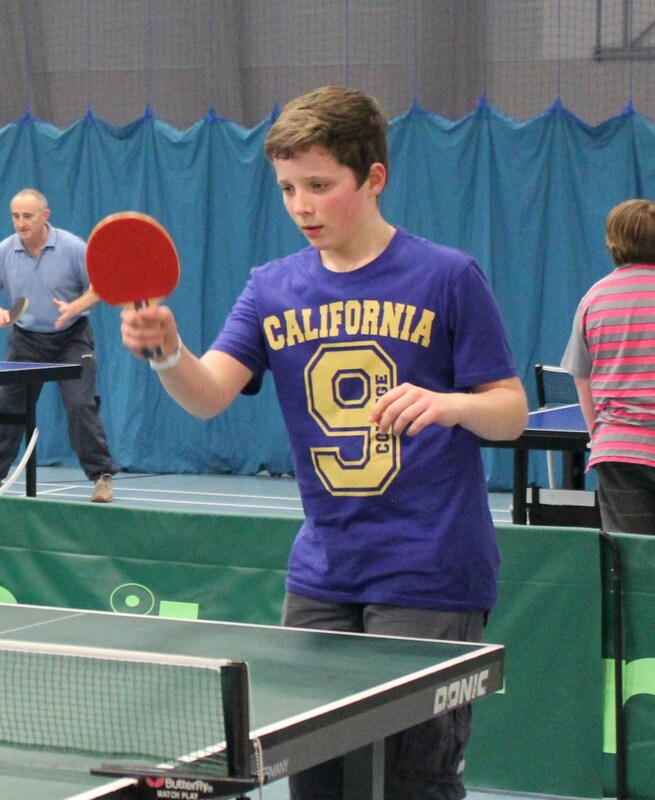 Devon Student Games – Congratulations to Andrei Constantin & Luke Robins who were part of the Teignbridge Table Tennis Team, who came 2nd in the table tennis and helped Teignbridge become the overall champions of Devon at Exeter University last month. Club Shirts - The brand new Joola Lano shirt is available to order from the Club (Tony or Nick). This top quality, breathable, lightweight polyester shirt is available to club members for half the retail price, plus printing. Total cost £25. A sample shirt will be available at our club sessions. 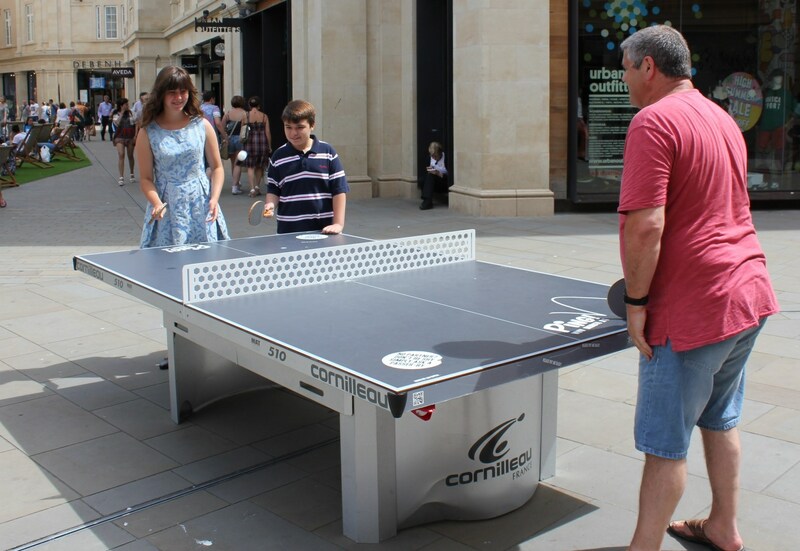 Bribar Table Tennis Equipment - Nick Halse has an agreement with Bribar (Table Tennis specialist supplier), so if you need any equipment see Nick and he should be able to get an extra saving off their catalogue price. Nick also has loads of Bribar catalogues if you want one. 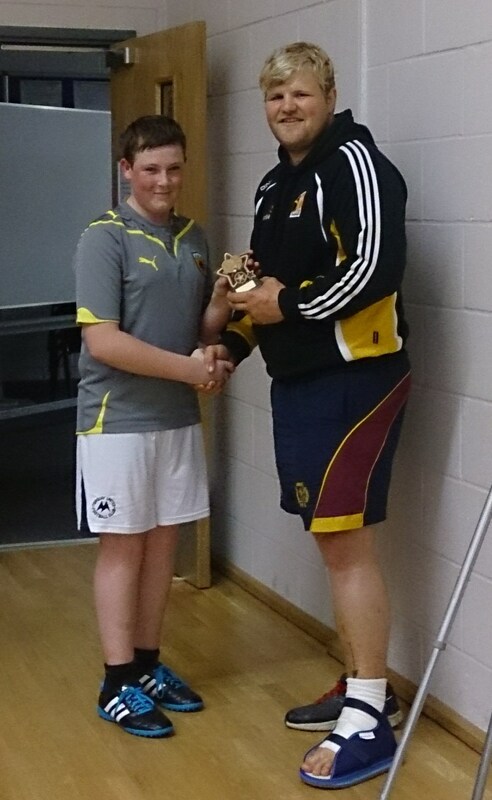 Teign School Partnership - Tony & Nick enjoyed a table tennis day as part of Teign School’s enrichment week. We were asked to run a day’s session of table tennis for the school and with the help of the robot put the students (and teachers) through their paces. We were joined by club regulars, Travis, Joe & Alex and helped also by Tom Phillips. Hopefully we will have attracted some new players to our regular sessions. Not so likely to recruit to our sessions was our trip to London, where helped by Mark Halse, we ran a table tennis day as part of sports week at a school in Purley. Newton Abbot Table Tennis Club Membership - There is no fee for those players who do not wish to play competitive table tennis in the local League. You are automatically a member once you pay for a session. Those players who wish to play in the League for Newton Abbot Table Tennis Club will need to download the MEMBERSHIP APPLICATION FORM FOR LEAGUE PLAYERS.docx and hand it to Tony or Nick together with payment. You will also need to pay your annual subscription to Table Tennis England. Don’t forget to add Newton Abbot TTC as the club you belong to and South Devon & Torbay Table Tennis League as the league you are playing in, on your Table Tennis England Membership application/renewal. HELP - We are proposing to enter two teams of (mainly) students in the League next season. We cannot do this without the support of parents to occasionally transport their child and maybe other students to away matches. Please help us to enable your child to play competitive table tennis in the local league. If everyone helps out it should only be 2/3 trips a year to, maybe, for example, Brixham on a Thursday or Dawlish on a Tuesday.